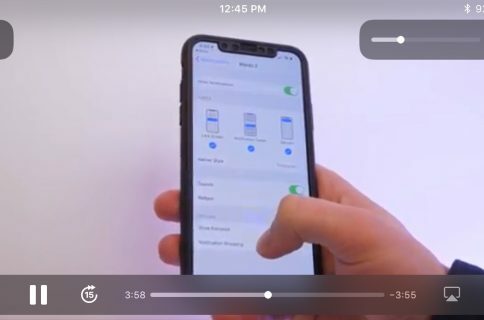 VoiceChanger is a new jailbreak tweak from Elias Limneos — the same developer that brought us Call Recording, and CallBar for the iPhone. Needless to say, he’s a very experienced developer when it comes to getting more out of the average phone call on iOS. As you’ve probably already figured out, his latest tweak allows users to change the sound of their voices while on a phone call. VoiceChanger allows callers to select between 4 different voice effects (plus the normal voice), and you can do so while on a live phone call. Have a look inside for more info. Once installed, VoiceChanger places a new preference panel in the stock Settings app. From the tweak’s preferences, you can toggle a kill switch, and choose between the various effects. The effects, to put it mildly, are very lackluster. They lack the variety one would expect, and they basically all sound the same outside of the different octave levels. The two high pitched effects, Smurf, and Rumpelstiltskin sound downright horrible. The lower octave effects Tenoro and Dark Lord are at least somewhat passable. One of the nice things about VoiceChanger is that you can alter the voices at any time while on a live phone call. Unfortunately, you have to exit the Phone app and venture into the tweak’s preferences to do so. 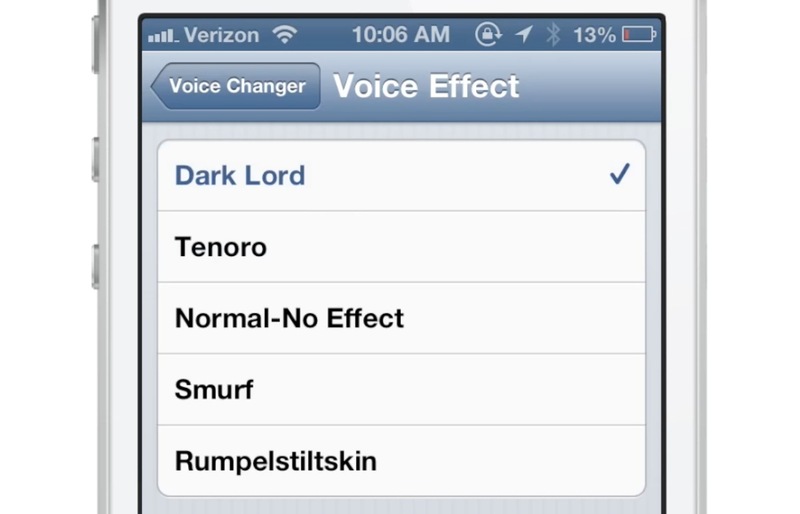 It would have been nice if there was a way to alter the voice effects right from the Phone app. iPhone 5 users will be able to use VoiceChanger with no qualms, but iPhone 4S users need to be aware, as the tweak only plays nice when using speakerphone. All other iPhone users are left out, even iPhone 4 users running iOS 6. All in all, I think that $2.99 is a bit much for VoiceChanger. At $0.99, I’d still be on the fence a bit due to the bad voice effects, but at $2.99, it’s easy for me to suggest you pass. 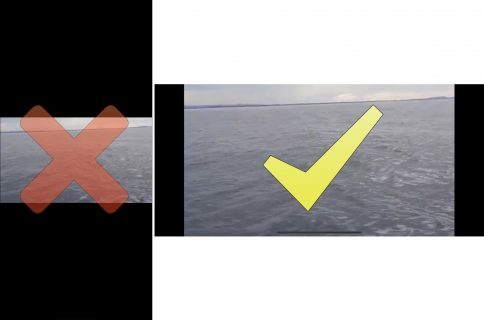 You’ve no doubt seen the video above, so tell me, what do you think?